Lissa Rivera (Brooklyn, NY), Motel, 2015, from the series "Beautiful Boy," Archival inkjet print, 20 x 24 inches, courtesy of the artist. The Photographic Resource Center at Boston University presents a special version of EXPOSURE in honor of the 20th iteration of its renowned juried show and the PRC’s 40th anniversary year. To honor these milestones, the PRC sought a chorus of voices and asked former PRC Curators and Directors of Exhibitions to jury this year’s exhibition, collectively: Anita Douthat, John Jacob, Leslie K. Brown, George Slade, and Francine Weiss. This esteemed group represents close to 30 years of PRC exhibition history as well a collection of impressive current experiences and positions as well. Known for identifying new trends and showcasing several works from multiple photographers, the annual PRC Juried Exhibition has shown over 300 photographers—including an array of established photographers and those cited as “ones to watch”—since it began in 1996. With a special slate of jurors and 13 excellent photographers selected for exhibition, the EXPOSURE 2016 edition commemorates our past, showcases the present, and celebrates the future. The PRC is honored and excited to present and open this exciting iteration of EXPOSURE as a part of the Flash Forward Festival Boston. For more information on EXPOSURE 2016 and links to past exhibitions, visit its special webpage: www.prcboston.org/juriedexhibition.htm. 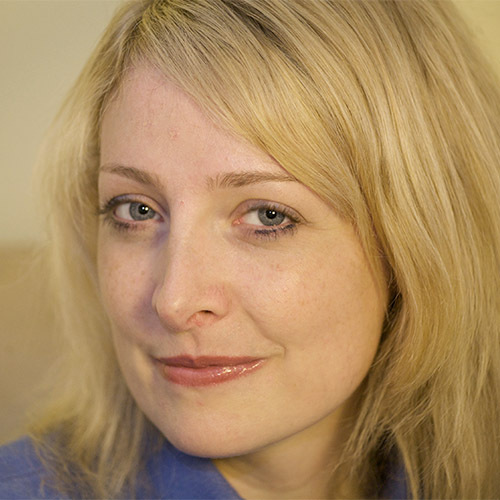 Leslie K. Brown is an independent curator, scholar, and educator pursuing her PhD in photohistory at Boston University. 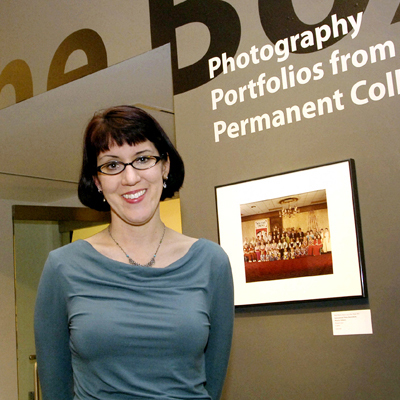 A former curator at the Photographic Resource Center from 2001-09, Brown holds an MA from the University of Texas at Austin. She has also worked at the Cheekwood Museum of Art, Austin Museum of Art, and guest curated exhibitions for the deCordova Sculpture Park and Museum, Provincetown Art Association and Museum, and Magenta Foundation’s Flash Forward Festival. Her other projects include essays for Sandi Haber Fifield’s book Between Planting and Picking (2011), the Davis Museum’s exhibition catalog A Generous Medium: Photography at Wellesley 1972-2012 (2012), and self-published ventures by John Chervinsky (2013) and Carol Golemboski (2013). Brown has taught at BU, Lesley College of Art and Design, Rhode Island School of Design, and Wellesley College. A speaker at CAA and SPE, among others, she has also served as an guest juror and reviewer for exhibitions and programs, awards and fellowships, and portfolio review events, such as Fotofest, Photolucida, and Critical Mass. Brown is a native of Rochester, NY and the product of a Kodak family. Anita Douthat is currently Associate Director of Carl Solway Gallery and was the first Curator of the Photographic Resource Center at Boston University from 1985-92. Douthat received a BS from the Institute of Design, Chicago and an MFA from the University of New Mexico. Douthat’s photograms are widely exhibited and included in numerous collections such as the Cincinnati Art Museum; the Museum of Fine Arts, Houston; Columbus Museum of Art; and the University of New Mexico Art Museum. Her solo exhibition “Under the Sun” was on view in 2014 at the Weston Art Gallery, Cincinnati. In 2010, her work was included in “Wedded Perfection” at the Cincinnati Art Museum and in 2007, she had a solo show at the Indianapolis Art Center. In 2006, 2003 and 2000, respectively, her photograms were featured in two-person exhibitions with Cal Kowal at the Ross Art Museum, Ohio Wesleyan University; Weston Art Gallery; and the Cincinnati Art Museum. Douthat has received grants from the National Endowment for the Arts, New England Foundation for the Arts, and Kentucky Foundation for Women. 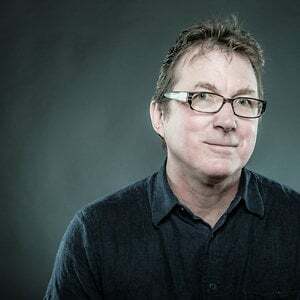 Born in Cincinnati, OH, she currently resides in Alexandria, KY.
John Jacob is McEvoy Family Curator for Photography at the Smithsonian American Art Museum, Washington, DC. From 2011 to 2015, he served as Director of the Legacy Program for the Magnum Foundation, and from 2003 to 2015 he was Director of the Inge Morath Foundation, both in New York City. 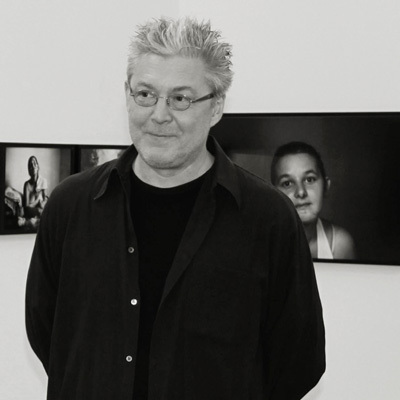 He was Executive Director of the Photographic Resource Center at Boston University from 1993 to 2000, and Director of Exhibitions before that as well as a previous contributor to the PRC’s former journal VIEWS: A New England Journal of Photography, a guest curator, and a juror for its grant sponsorship program. Recent exhibitions include Man Ray: Unconcerned But Not Indifferent (2007; co-curator with Noriko Fuku), Inge Morath: First Color (2009), and Erich Hartmann: New York Stories, 1946–1957 (2012). Recent publications include Ernst Haas: On Set (Steidl, 2015) and Kodak Girl: The Martha Cooper Collection (Steidl, 2011); Inge Morath: On Style (Abrams, 2016) is forthcoming. Jacob began his career as an artist, working with reproductive media including photography, rubber-stamps, mail art, and artist’s books. Francine Weiss has been curating, teaching, and writing about photography for over fifteen years. As the most recent Curator of the Photographic Resource Center (2012-14), she wrote essays for the Loupe journal and curated and organized exhibitions on alternative processes, portraiture and identity, and color photography. Prior to the PRC, she organized and researched exhibitions at the Smithsonian’s National Gallery of Art, Harvard University Art Museums, and deCordova Sculpture Park and Museum. 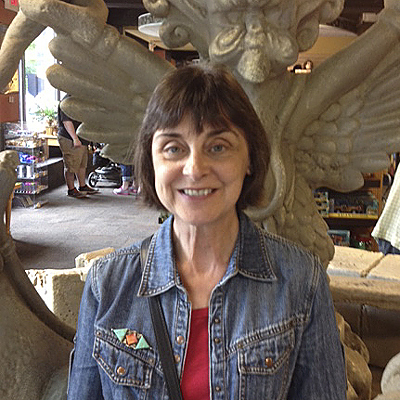 Weiss has published extensively about art and has taught at Wellesley and Simmons colleges. She received her PhD in American Studies in photographic history from Boston University and now teaches in the MFA in photography program at New Hampshire Institute of Art and for the art history department at BU; Weiss is also the Collection Manager at Fitchburg Art Museum.